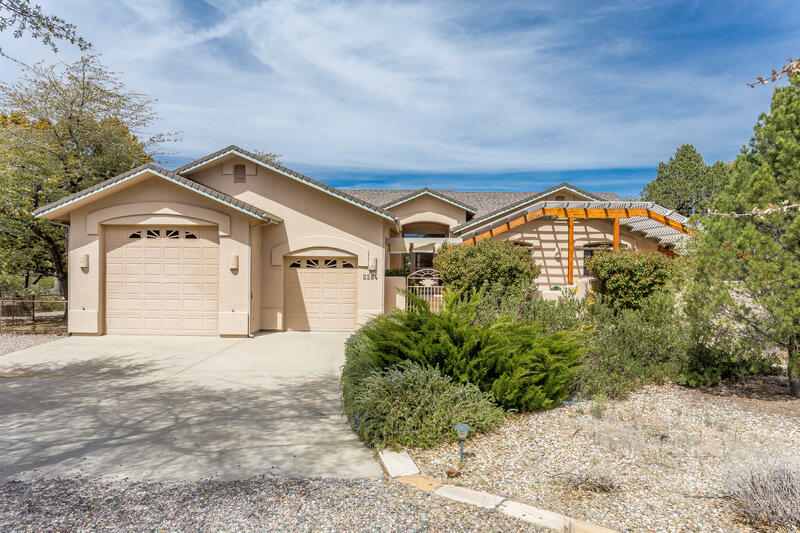 All Royal Oaks homes currently listed for sale in Prescott as of 04/22/2019 are shown below. You can change the search criteria at any time by pressing the 'Change Search' button below. "Welcome home to you own personal Doll House. 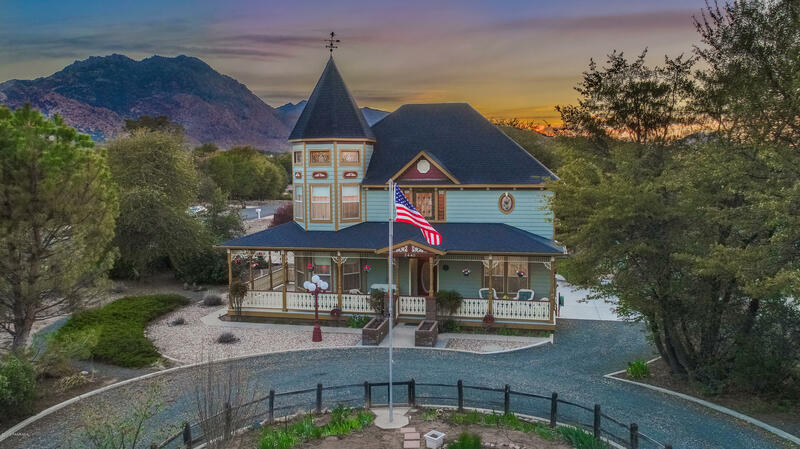 Stunning Victorian with large wrap around front porch and detail custom exterior and interior woodworking in one of Prescott 's prime neighborhoods.This painted lady has hardwood flooring, formal living and dining area, 3 BR and 4 bath, one 1/2 bath being in the garage. Screened porch off dining area takes you years back to the good ole days, great for summer napping. New zoned HAVAC in 2015, new water heater in 2016. Victorian homes are not just for "
"Come see this beautiful 3 bedroom 2 bath home in the heart of Royal Oaks. 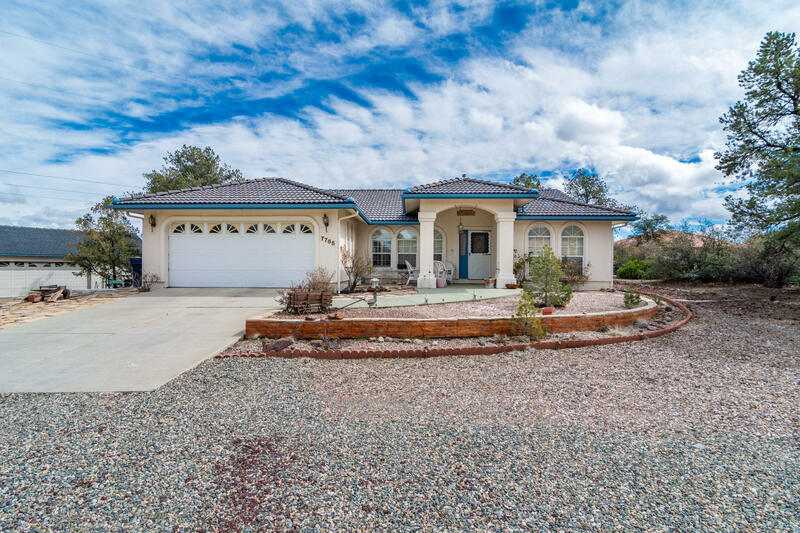 Sitting on 1.34acres this home has breath taking views of Granite Mountain from the front and a fully fenced private backyard. The kitchen features custom cabinets with all lower pullouts, Caesarstone counter tops and views out of picture window to the East. The detached 3car garage has room for all your toys and is wired for 220v. Whole property is solar powered and all appliances are electric making this a very cost "
"Welcome to Royal Oaks, one of Prescott's most highly sought after subdivisions located in Williamson Valley. This gorgeous SINGLE LEVEL home boasts outstanding curb appeal with an attached RV garage plus single additional bay, PLUS a detached 18'W x 24'D shop/garage! On approach you're greeted by a circular driveway as well as enclosed courtyard entry with aluminum pergola overhead creating an inviting entrance to the home. Inside you will find an open & spacious floor plan with vaulted ceilings"